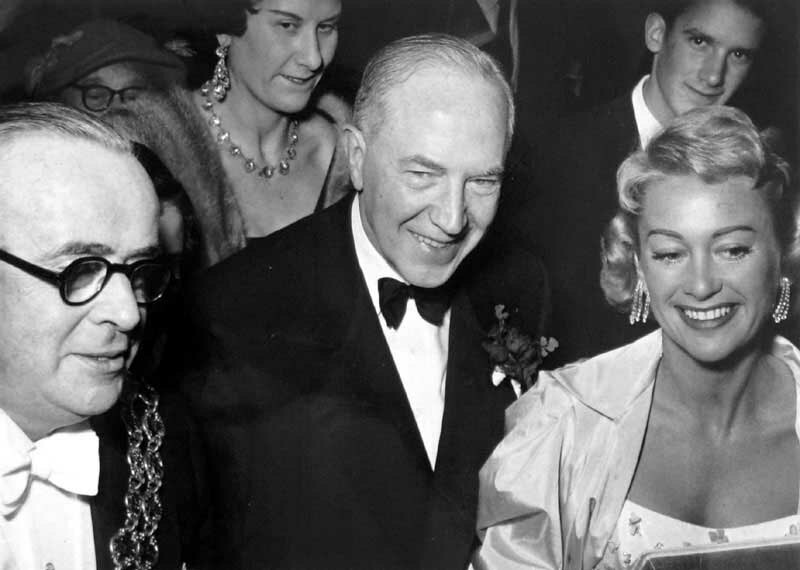 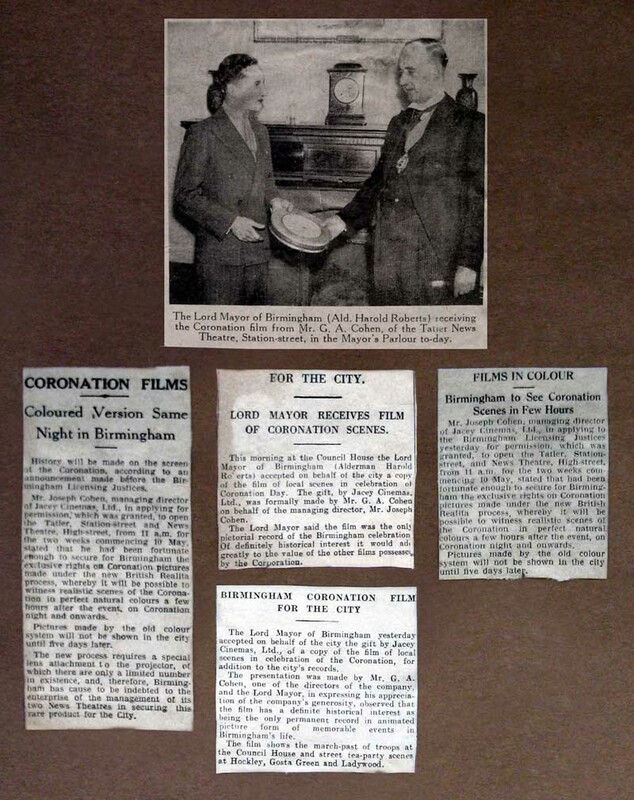 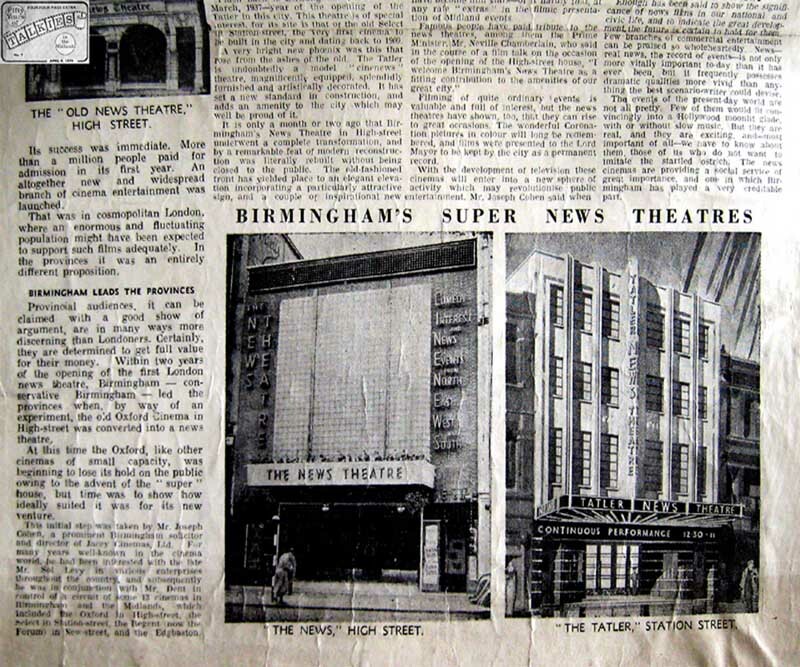 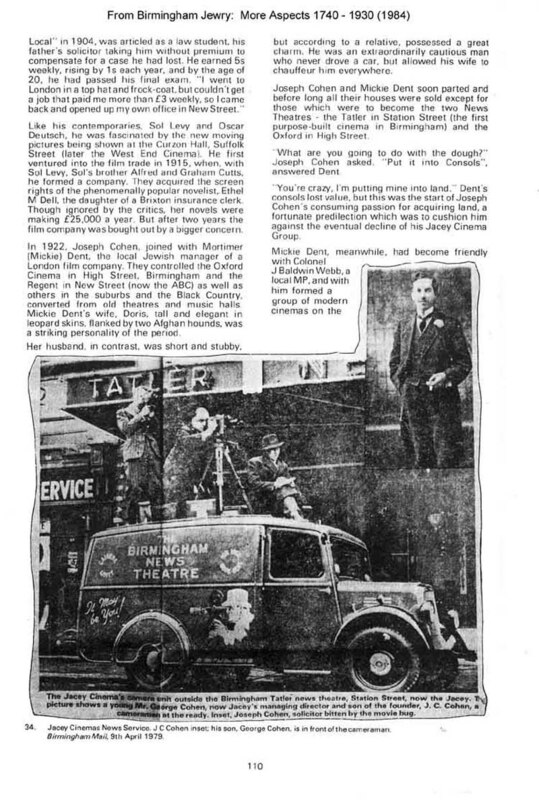 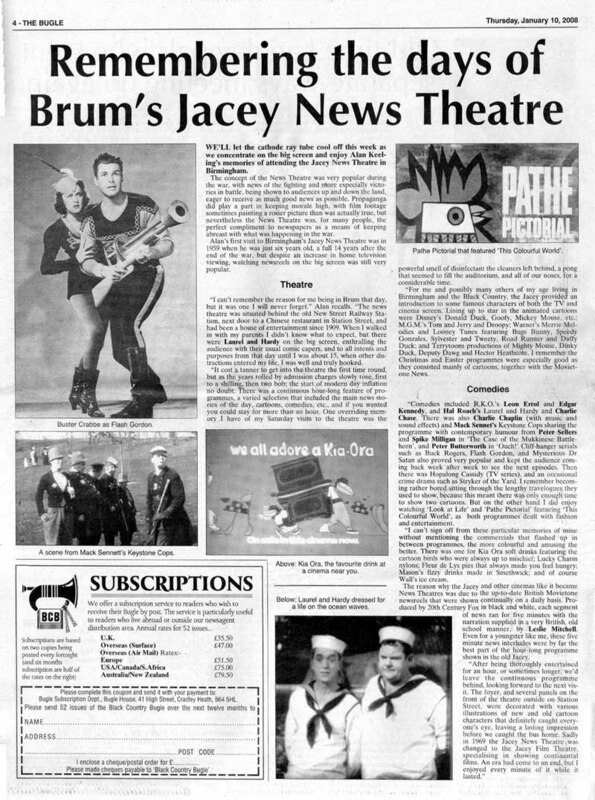 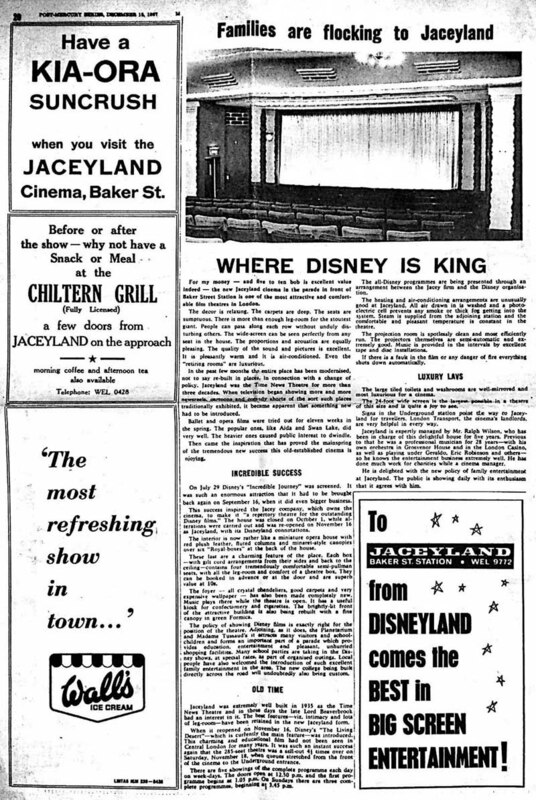 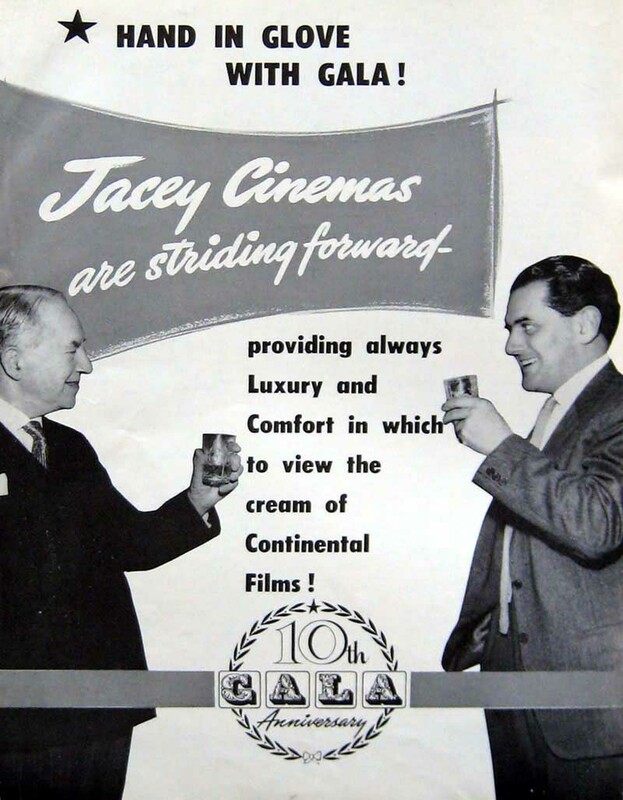 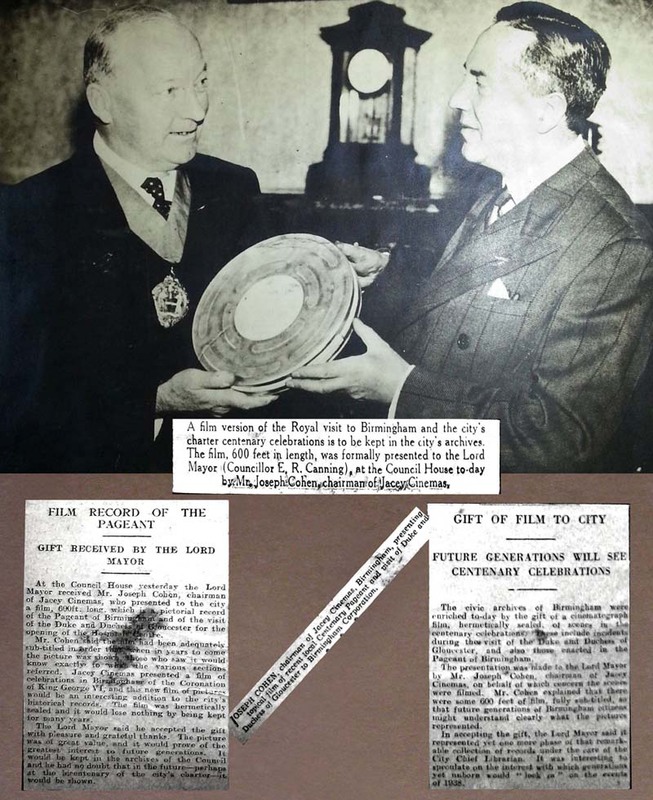 In 1953 the News Theatre in Birmingham was 21 years old and the occasion was featured by British Pathe News. 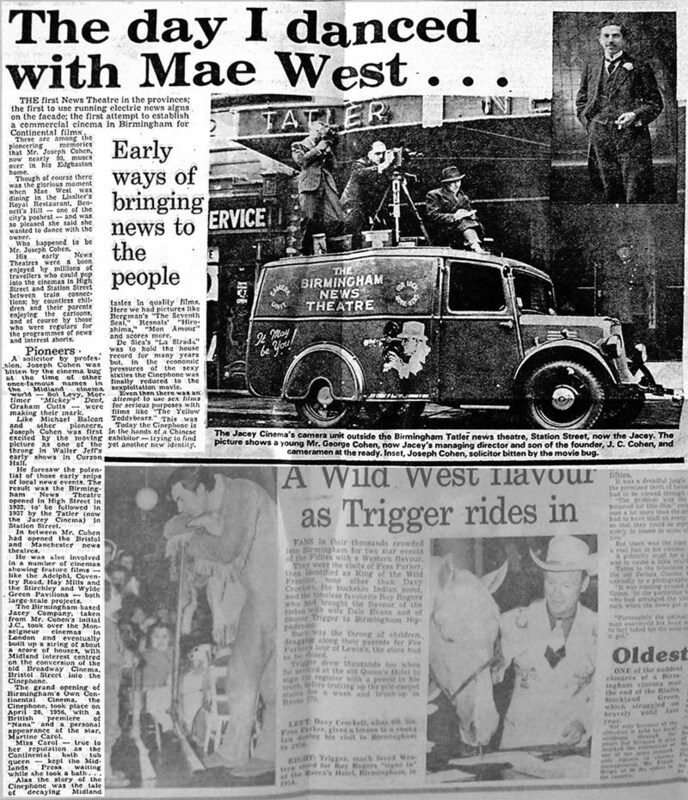 "The Day I Danced With Mae West..."
'Birmingham Mail' 9th April 1979 Page No ?
' 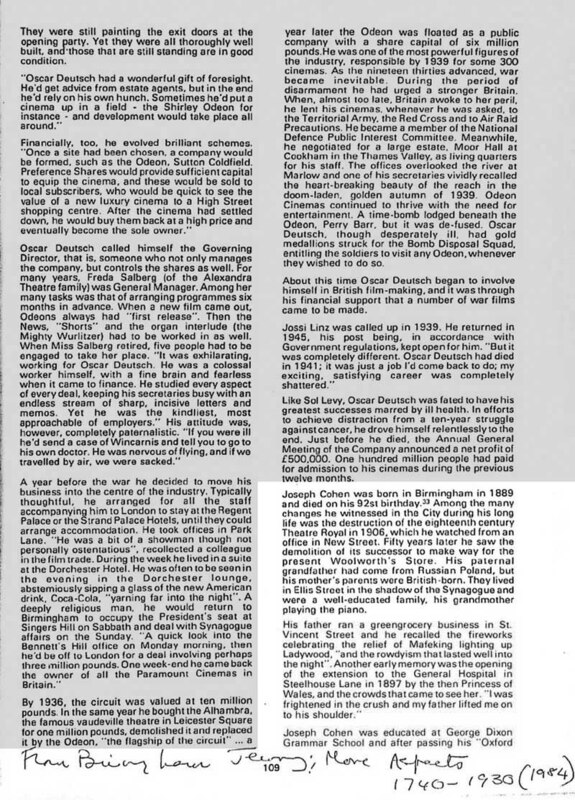 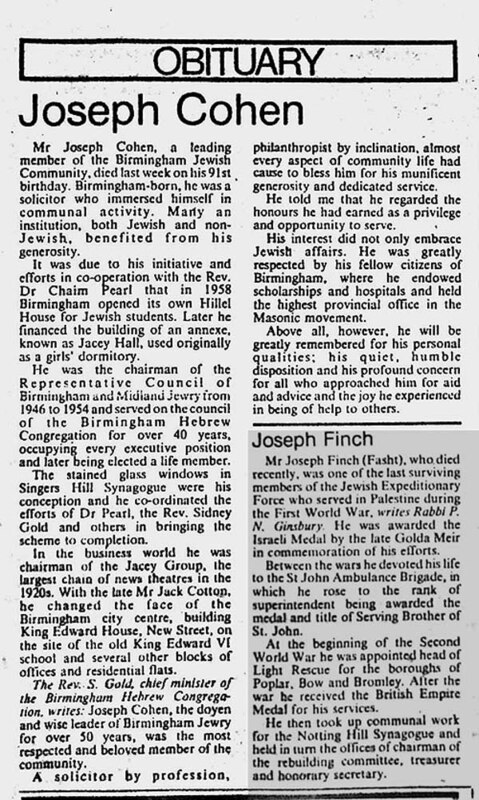 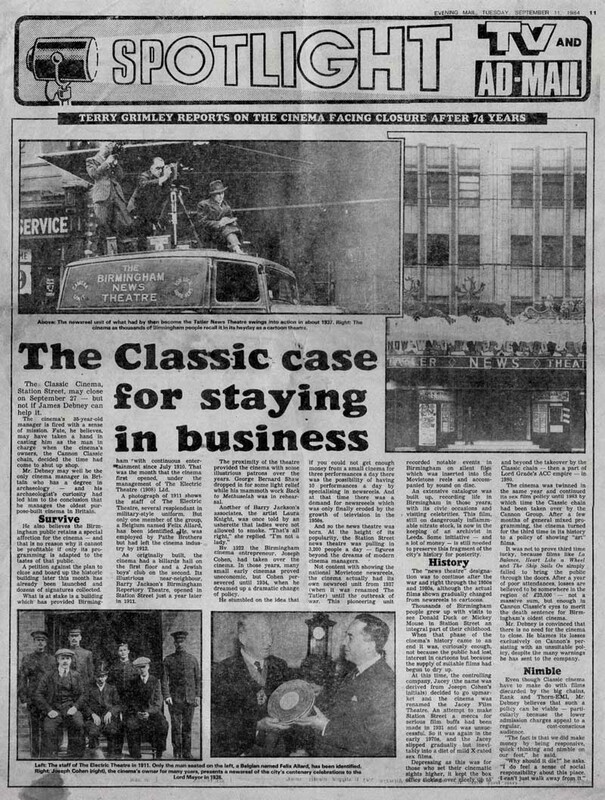 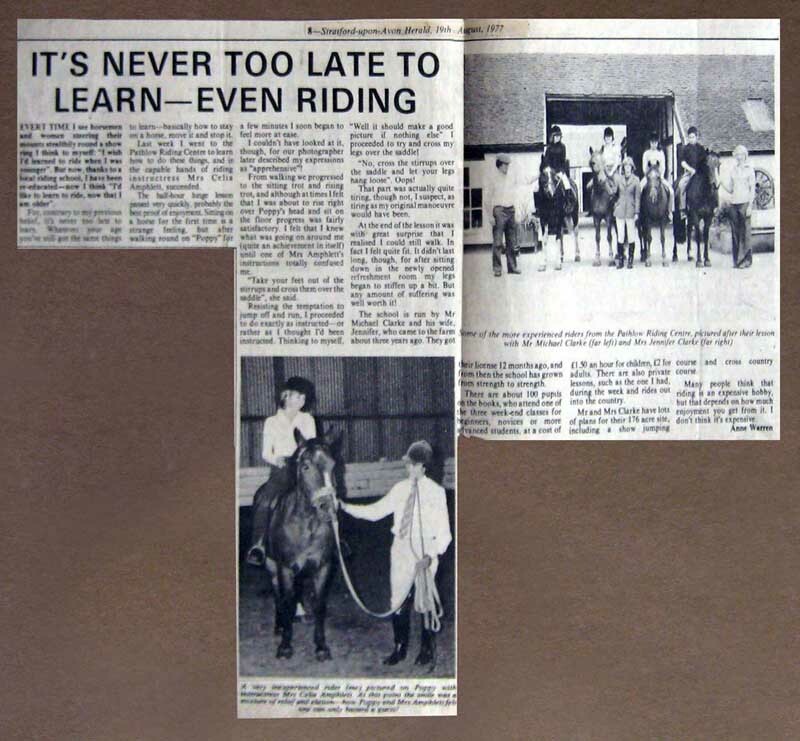 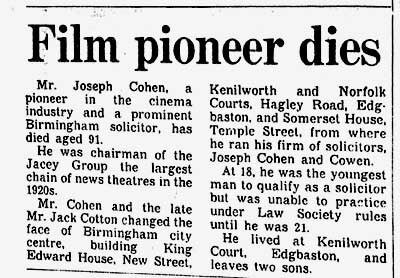 Birmingham Mail' 9th April 1979 Page No ? 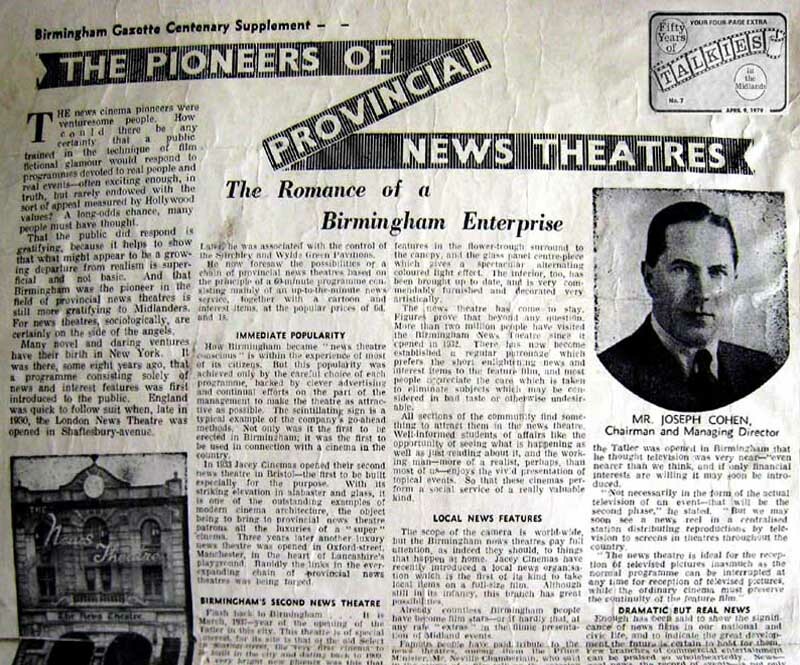 Need Newspaper Name, Date and Page No ? 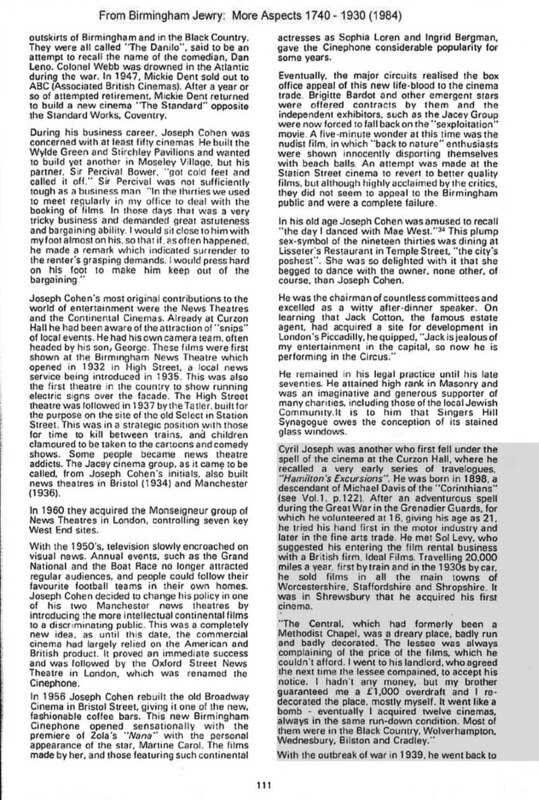 Post-Mercury Series, December 16 1967, Page 20. 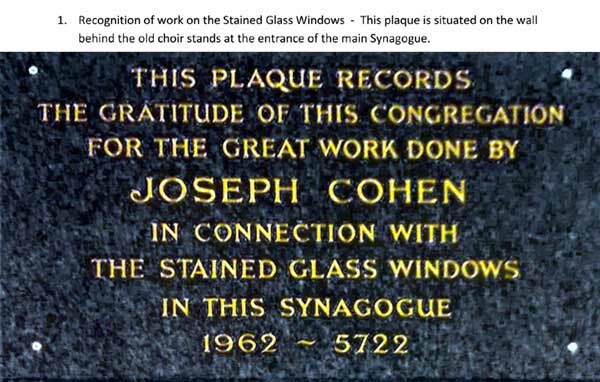 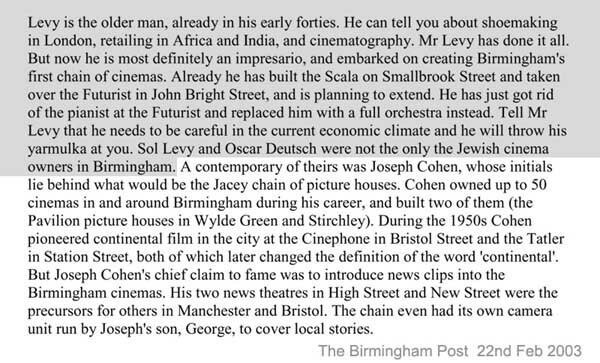 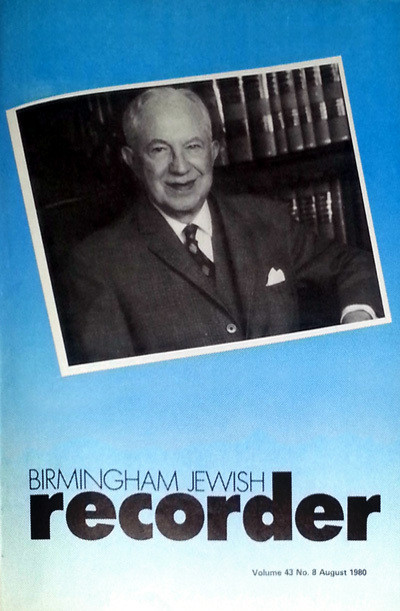 Joseph Cohen who was the main inspiration behind the entire project, from beginning to end. 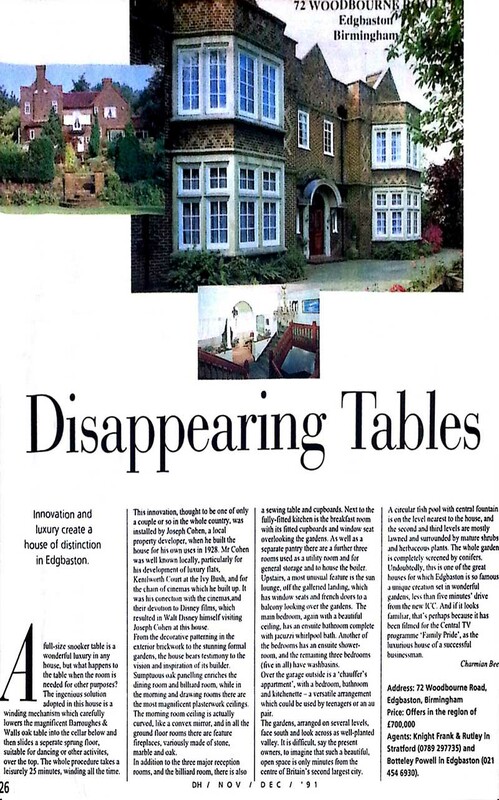 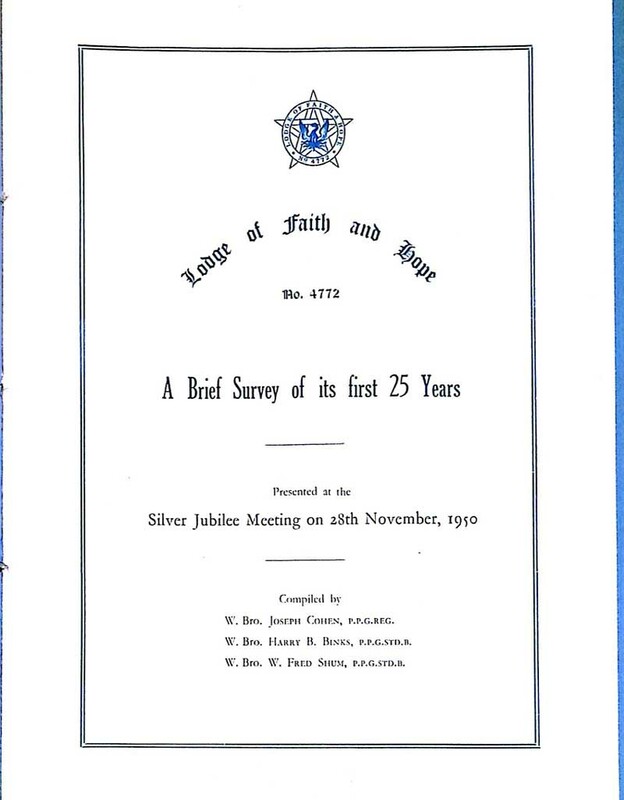 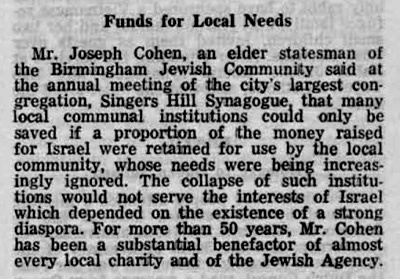 ... a substantial benefactor of almost every local charity. 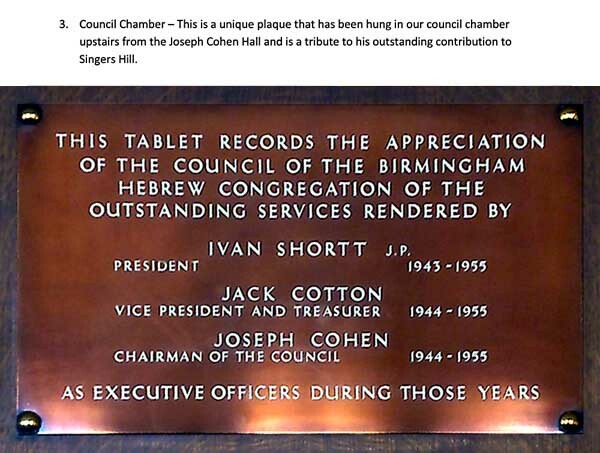 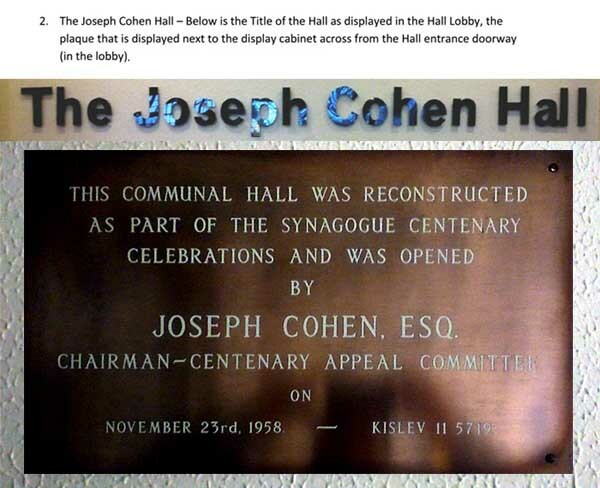 The Joseph Cohen Hall is used for a wide variety of events and is located alongside Singers Hill Synagogue. 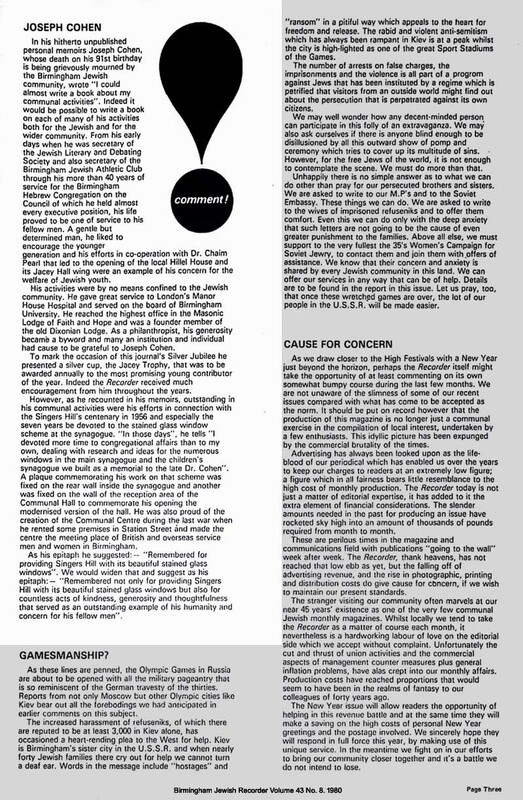 "...the Joseph Cohen Trophy is presented each year to a writer who has contributed a series of articles during the year." 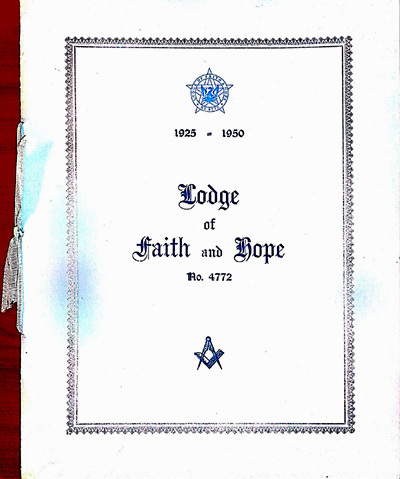 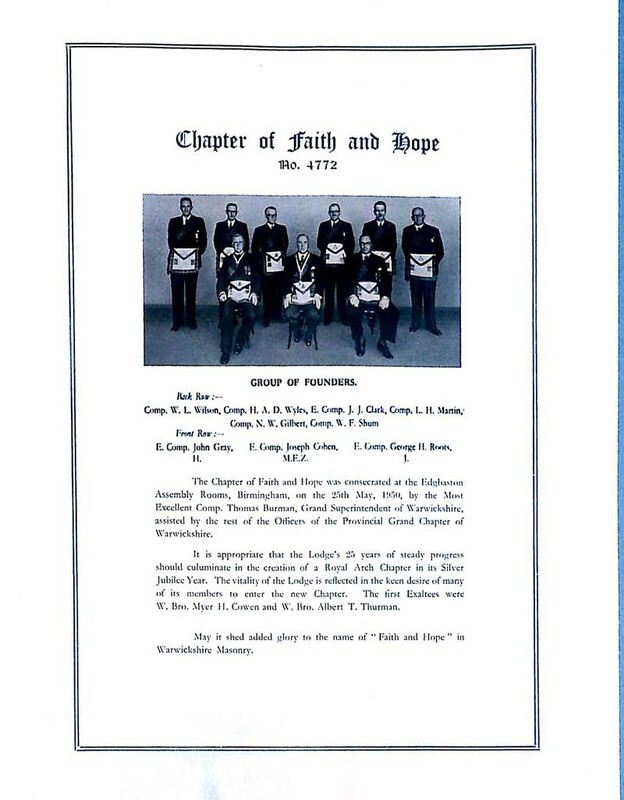 Founder W. Bro. 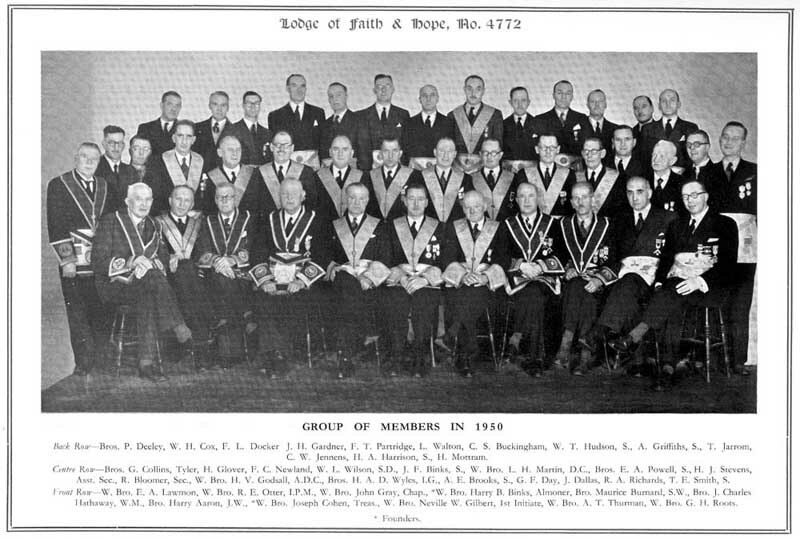 Joseph Cohen is 4th from the right, front row.